The Newlyweds are back in town! 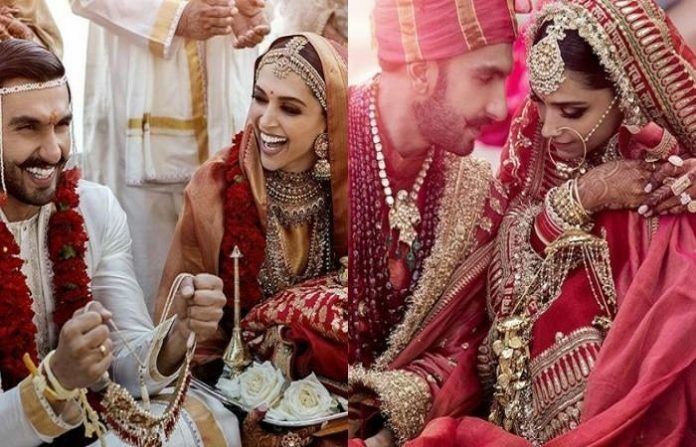 Deepika Padukone and Ranveer Singh returns from their Dream Wedding and have reached Bhavnani residence in Mumbai. 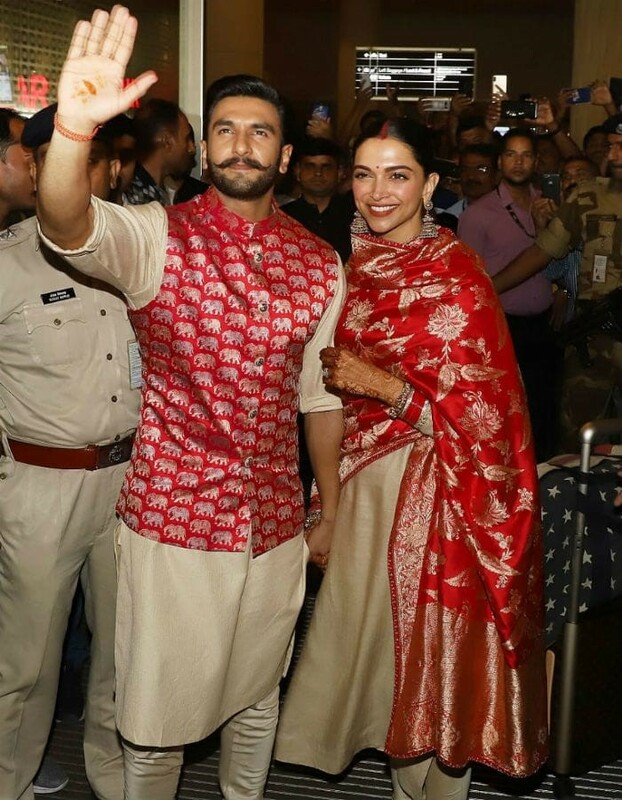 After the impromptu photo-op session at the airport, the couple met the photographers lined up outside Ranveer’s residence patiently with a smile. 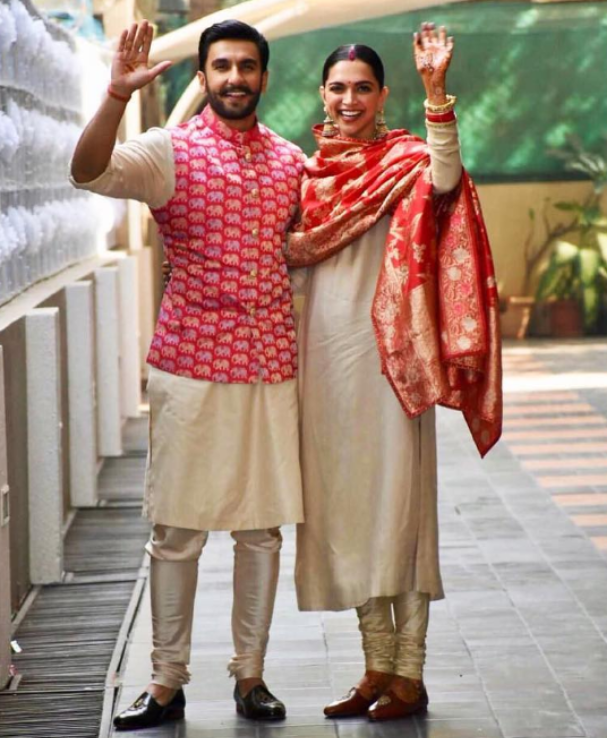 He looked ravishing in cream suit which she paired with red silk dupatta and traditional jewellery while He colour-coordinated in cream kurta-set and red jacket. Their airport look was all custom design by Sabyasachi! 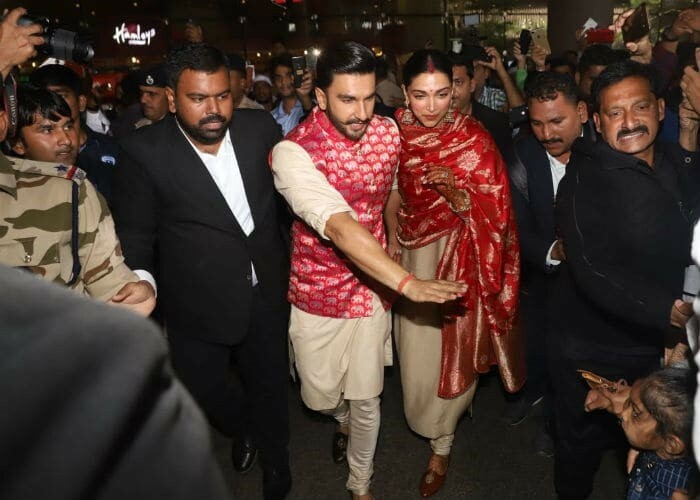 Earlier at the airport, Ranveer was seen requesting paparazzi to back off a little and protecting his wife, Deepika. Aww wasn’t that so cute of him. Previous article9 Rooftop Restaurants in Delhi to Enjoy Cozy Winters with Bae!